Go the Distance Coaching is pleased to sell and recommend a full line of nutrition, clothing and safety products to Austin's endurance athletes. Contact Coach Casey directly to place your order for pick-up in NW Austin OR at our retail location inside Active Sports Therapy and Rehabilitation in downtown Round Rock (102 E. Main Street). Pay by cash or check and get 15% off your order! Just for the ladies, shorts that are designed to never chafe! Coeur Sports tri shorts have a chamois that extends the full length of the inside of your thigh, eliminating the main source of chafing. I have triathlon shorts in Little Black in 5" and 8" inseams AND cycling shorts (with a standard cycling chamois) in stock in S-XL. Other styles may be available - just ask! If you are a fan of Coeur, chocolate and wine, you will want to join us in March or April for the annual Pour with Coeur party -- click here to add your name to the guest list! Sometimes better swimming requires better tools. Check out the fins, paddles, and other gadgets that I recommend on Swim Outlet. Full disclosure: All purchases made from the GTDC page earn me a small affiliate commission. Currently in stock - Hammer Gel singles, Hammer Bars in five delicious flavors for long bike rides or an afternoon pick-me-up, Recoverite, Endurolytes, Race Caps Supreme, Whey Protein and more! 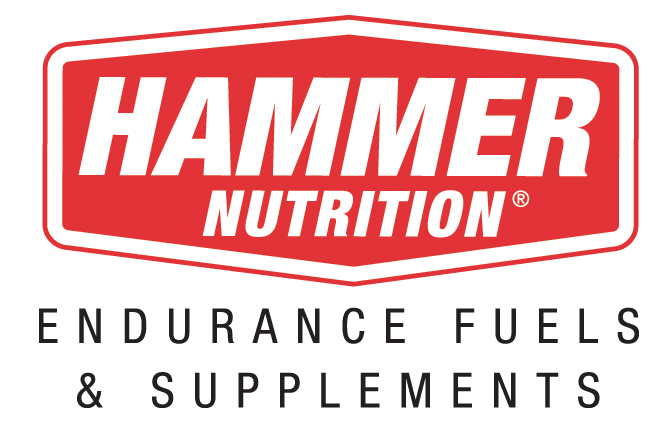 Hammer Nutrition products are "clean" and really work -- many are organic or gluten free, and all supplements are pharmaceutical grade.Refer to the Hammer Nutrition website to choose your nutrition and supplement products. Get your special order requests in to Casey by April, July and October.15% off for cash and check payments! The all natural beet-derived way to boost your cardiovascular system. The Beet Elite shot starts working in 30 min, and lasts for six hours, increasing your circulation to speed fuel to working muscles and clean out waste products rapidly. Many users notice improved endurance at the end of hard rides and races and also better performance at high altitudes. Boxes of 10 single packs in stock for $25. All-natural hydration to be used during exercise or during everyday activities in the heat. Exercise hydration mix comes in delicious Passionfruit, Raspberries, Pineapples, Oranges and Lemons & Limes flavors in either single-serving packets or 1 lb bags. Skratch Labs products are available three times per year by special order - March, June and September. Contact Casey to place your order. 15% off for cash and check payments! Contact Casey to see what is in stock - Bloks, bars, etc. In addition, all Clif products are available three times per year by special order - Feb, May and August. Contact Casey to place your order. 15% off for cash and check payments! Say good-bye to smeary race numbers for good! Try these snazzy number tattoos instead. Contact Coach Casey to get race-day packs for your next race. Prices range from $3-5 depending on the amount of numbers needed. Let Dr. Seth Wagenblast of Active Sports Therapy and Rehabilitation help you avoid and heal from overuse injuries with the application of active release therapy. Purchase the Trigger Point Therapy tools used in his practice here. See http://astrehab.com for more information. Never leave home without it! Order wrist and ankle ID bracelets direct from Road ID for a nice low price. It could save your life.